The Exchange Recovery tool offers the users with multiple options to recover Exchange Server Mailboxes from the dismounted & offline EDB Files. It even renders the users with recovery of deleted Exchange Server Mailboxes and hence recovers mails, calendars, notes, journals, tasks from all the mailboxes. It can even restore the permanently deleted mails from the EDB mailboxes. 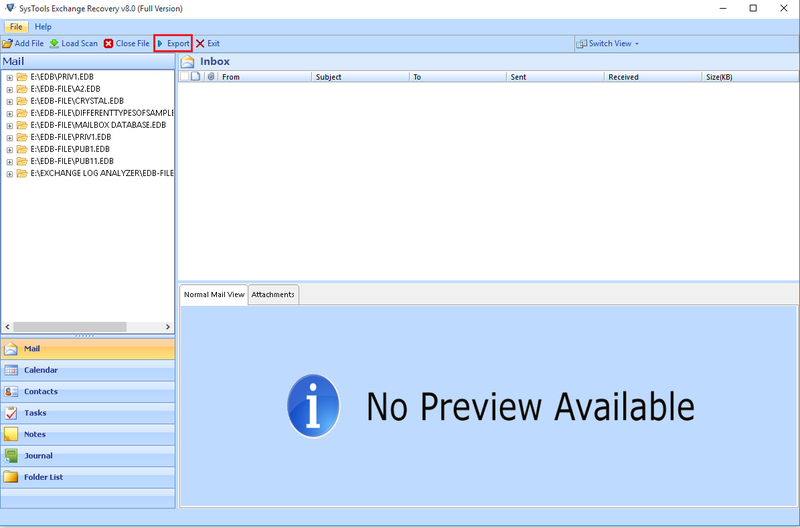 The tool comes with an added advantage that provides the users with the deleted data and afterwards retrieves items from Exchange Server into Outlook/ EML/ MSG/ HTML/ PDF file or transfer them directly into Exchange. The Exchange Database Recovery software repairs and recovers both the public and private folders present in Exchange Mailboxes. The users can even restore Exchange priv.edb and pub.edb without data loss. In addition to it, the wizard easily recover corrupt Exchnage database or Mailbox mails, associated attachments of the file type i.e., Images, docs, and so-on. It even exports all the attachments that are embedded into HTML body or embedded messages, documents etc. Exchange Settings: Provide the required details for validating purpose and choose the Exchange edition in which the data is transferred. 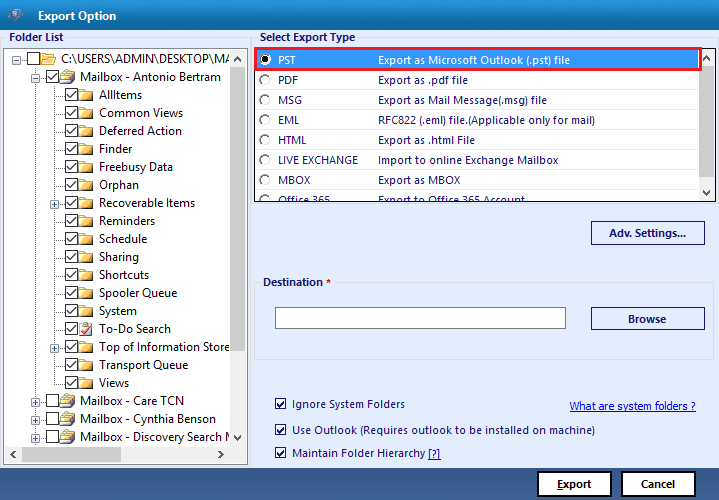 General Settings: It provides the users with an option to import selective data to Live Exchange Server. Additionally, The EDB file Recovery tool supports Exchange 2016, 2013, 2010, 2007, 2003, 2000 database recovery. 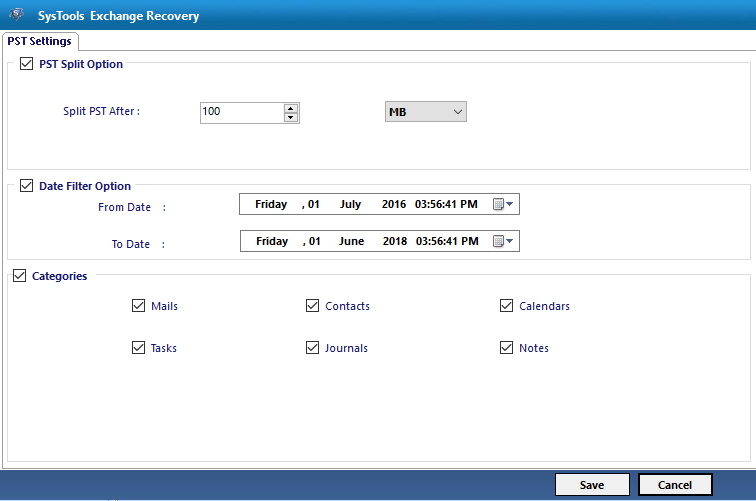 The EDB recovery tool is so brilliant that it can easily create an Outlook file from Exchange Mailboxes once the data is restored. The wizard to repair EDB file, restore mails in Exchange 2016, 2013, 2010, 2007 , etc & also allow to save recovered data in UNICODE PST, EML, MSG file and stores the items like mails, contacts, tasks, notes and so-on. These files are compatible with all the Outlook editions, WLM, Outlook Express. The wizard even permits the users to save data into HTML and PDF files also. The software is can also capable to save EDB files to Office 365. The utility can easily recover Exchange EDB files via Quick and Advance Scan Mode. In case, the corruption is less, then the recovery modes like Quick and Advance Scan can be adopted for resolving curruption in Exchange Server Database. The Exchange Server recovery tool doesn’t append any size limitations. The software works profitably with any size of Exchange database file. 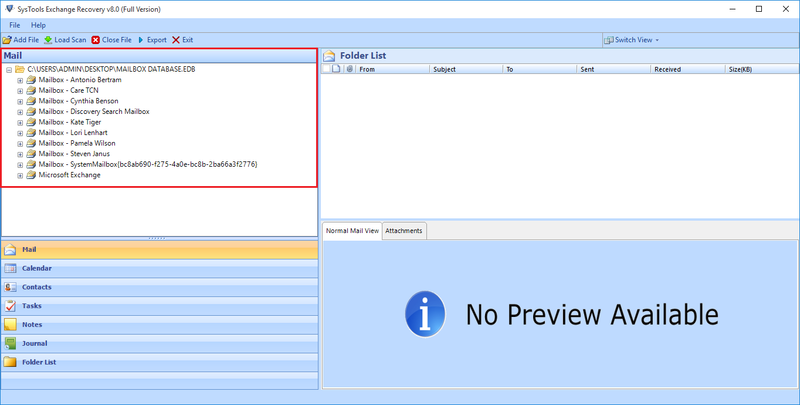 Moreover, the wizard generates preview of Exchange Mailbox or EDB components like mails, address books, calendars, tasks, journals, and so-on with associated meta-components and attachments. The users can use this high-end EDB repair utility to repair corrupt Exchange database (EDB) & save selective items into EDB/ EML/PDF/ HTML. Once the tool recovers damaged Exchange database files the all items get loaded in the three-pane format. In these circumstances, the users can selectively export the files via advance option. 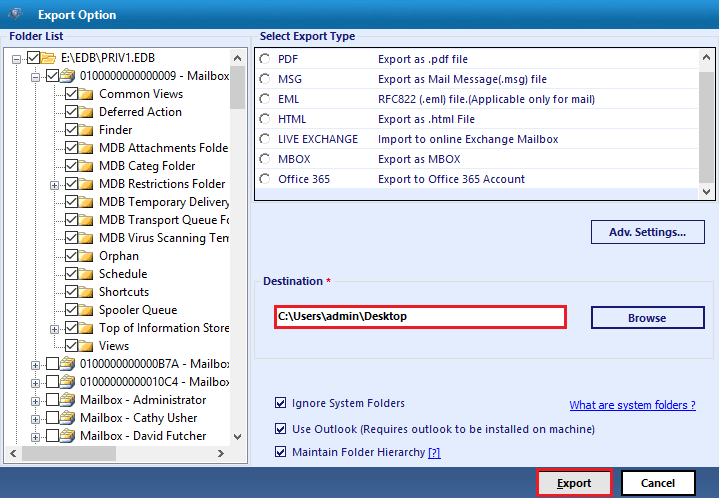 Moreover, users can also check/uncheck the desired mailboxes that you need to import. All the users need to do is just check data items from categories section of the customized setting window. 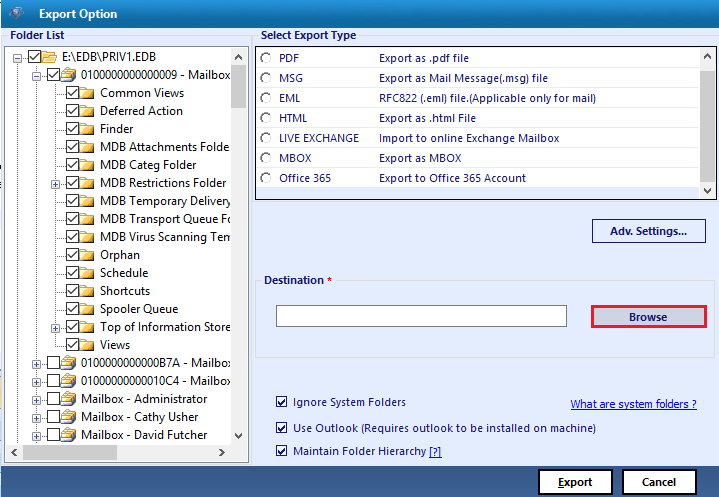 The Exchange mailbox recovery tool maintains the internal structure of the folders and sub-folders in the EDB mailboxes while repairing the corrupt Exchange 2016, 2013, 2010, etc database files. The mails attachments and its meta-properties all are kept intact at time of resolving Exchange Server Corruption issues. The tool is an all-in-one solution to fix damaged Exchange Mailbox files and restores data from it. Software provides option to split large size output file into smaller parts. Select size and break single large files into smaller parts. The Exchange EDB database recovery wizard well settles with file naming convention. In case, the users have decided PDF, MSG, EML, or HTML function to recover Exchange mail messages. 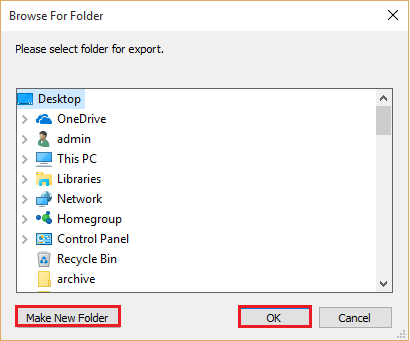 All the users need to do is choose Advance Settings menu of any four file formats and then explore list of Naming Convention. There is one most brilliant option offered by tool, that it allows users with export mails according to categories i.e., mails, calendars, contacts, and tasks. It allows the users with selective export of data once done with successive Exchange Recovery. The Exchange database repair software offers added support to an automated search of the random EDB files in the local drives. It even saves the users ample amount of time they spend on the manual conversion. The tool even performs advance scanning option to restore heavily corrupted data of Exchange Server 2016, 2013, 2010, 2007, 2003 database on the Windows Operating System. It even helps the users with Advance Scan on its 64 bit versions too. 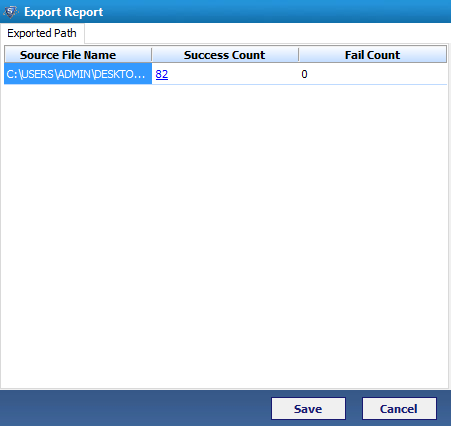 It even provides the users with Switch Screen view option and generates the export report for the transfer process. 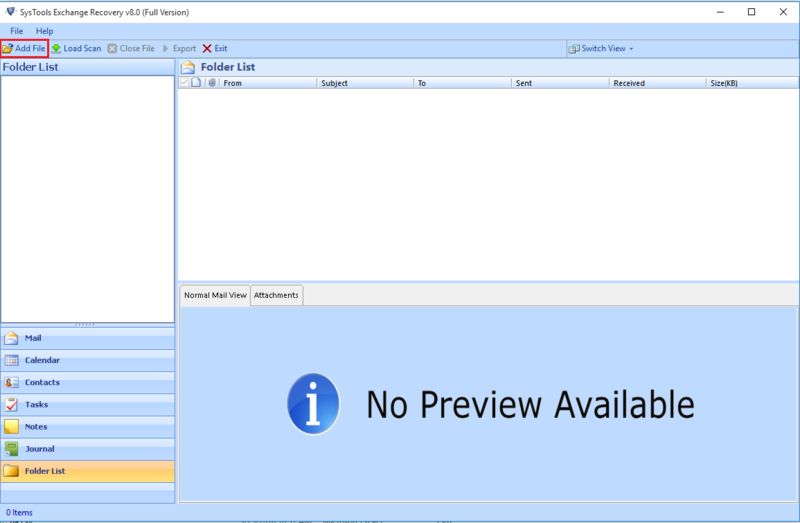 The Demo Version of The Tool Will preview of recovered data and save 25 items per folder. Does the exchange EDB recovery software functions properly, when Outlook is absconding or not installed in your device? Does the wizard provide the users with scanning options in case of corrupted Exchange Mailbox Files? Yes, our Exchange Recovery Wizard offers you with two scanning modes i.e., Quick Scan and Advance Scan for resolving the problem of corrupt EDB files. The Advance Scan option allow you to recover highly corrupted Exchange Server Database. Can the EDB file Recovery software provide preview of EDB mails along with the attachments? Yes, the software facilitates the users with repair corrupted EDB file & preview of all the EDB mails with its associated attachments. Is there any restrictions imposed by the software in terms of performing Exchange Server recovery? No, the EDB file repair tool is tested up to 1 TB size limit. So, no need to worry about the size limit related issues. You can repair & recovery large corrupted EDB file by using this software. Will the software help me in recovering both Public and Private Exchange Folders? Yes, using our EDB database recovery, you can easily recover Exchange server mailbox private and public folders along with all the properties maintained. Can the process of recovery happen if the Exchange Server is not in working state? Yes, this can happen, if you try our Exchange Recovery software. It will recover deleted items from EDB file, if this case emerges that your Exchange Server is not in workable condition. Will the software prove beneficial if the ESEUTIL in-built command line fails in resolving the Exchange Server issue? Yes, Exchange Server recovery software will help in the circumstances where your ESEUTIL command has failed. Is Dirty Shutdown state escaped if you have pre-installed EDB Recovery Software? It resolves the issue related Dirty Shutdown. "In my entire professional career, i haven’t seen such a wonderful Exchange EDB Recovery wizard that serves you with silver platter. Trust me, this software is exact way to repair corrupt Exchange Database (2016, 2013, 2010, 2007, etc), buying this product is worth, as it provides you so many features that no other tool can do. Thanks Developers!" "I really want to appreciate your effort guys; you are doing a great work. I tried your Exchange Recovery tool and trust me it has credibility to resolve all the Exchange server related problems. Once again, thanks to the entire team of developers behind the software’s creation." "I have used this software to recover data from corrupted Exchange mailboxes (EDB files).This is one of best Exchange Database recovery tool. After working with manual solutions I found this recovery is impossible for me by using manual methods, then someone told me to try this software. Now, I have recovered my all the EDB data by using the tool, I would like to thanks DataHelp for this software"